From the first film ever made in Cambodia in 1960, to the arrival of the Khmer Rouges in 1975, more than 400 movies were produced. After the change of the regime, the movies were banned, the theaters shut down, and most filmmakers and actors were killed, since they were considered enemies of the people. Only 30 films remain today, and a few of the directors who were able to flee the country. 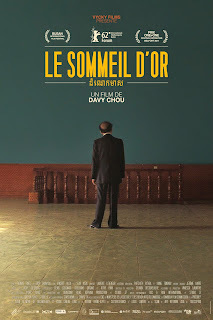 Davy Chou, grandson of Van Chann, a famous producer in the 60's and 70's, tries to bring back to life the cinema of the era, through testimonies of the few survivors. These interviews, which include filmmakers, actors, producers and even film buffs, reconstruct an era long gone, since the only thing that remains of most of the films are the songs that played in them, and some footage. Van Chann's daughter eloquently states that 11 years of her father's filmmaking are now reduced to 12-15 photos, the only mementos left. Most of the old theatres in Pnom Penh have become restaurants, karaoke parlors, and even unofficial asylums for the poor. In that fashion, the documentary emits sadness and a sense of nostalgia for the era, which reaches the borders of the drama, when episodes of grenades thrown in theatres and the general treatment of the industry by the Khmer is revealed. However, as the documentary progresses, some rays of hope start to appear on screen. 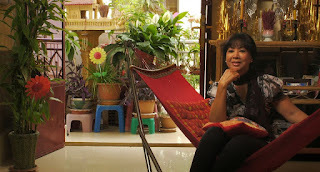 Dy Sabeth, the first star of Cambodian cinema is still here, as is Van Chann, Ly Bun Yim, Yvon Hem, both filmmakers, and other members of the industry, who still remember, and are not willing to let people forget. And, as the two film buffs, and some random people from the aforementioned asylum start talking about these films, the fact that their legacy will remain, becomes a certainty. Davy Chou does his part, as, at one point of the film, a famous scene from one of those is restaged with the help of some random youths. The sole flaw of the direction appears close to the end of the film, which is exclusively comprised of shocking, but quite lengthy testimonies of the harsh conditions of the Khmer Rouge era. This however, does not ruin the general atmosphere of the documentary, which remains quite engaging until the end. "Golden Slumbers" is a great documentary, focusing on a topic that could be easily forgotten if not for this film, and in that fashion, truly fulfils one of the main purposes of the medium, to retain memory.